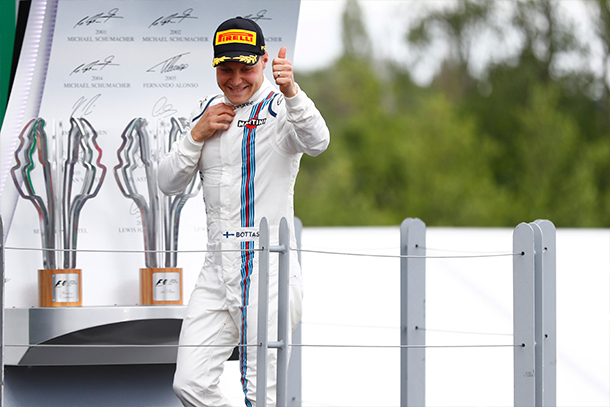 Valtteri Bottas stood on the Montreal podium for the second year in succession after a fantastic performance in the Williams. Qualifying had put him down in seventh place behind the Mercedes, Red Bull and Ferrari cars, but he did the same one stop strategy as Lewis Hamilton, pitting on Lap 25 and this gave him track position advantage over the Red Bulls and Kimi Raikkonen’s Ferrari. 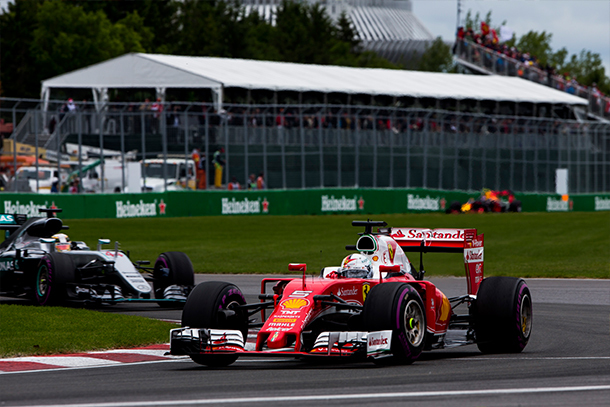 Bottas has always excelled in Canada and this was another example. It was a much needed result as the Finn has had a poor start to the season. It’s a relief for Williams too after a miserable weekend in Monaco last time out. 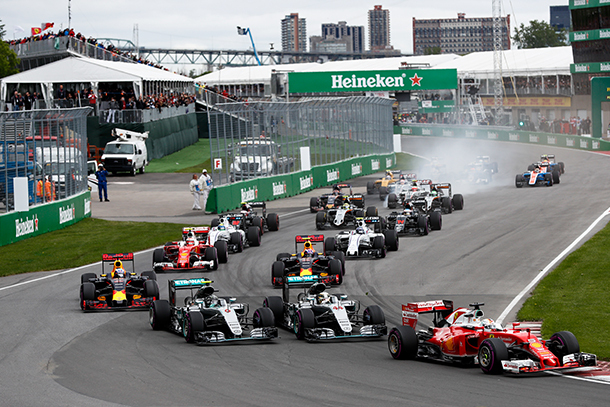 Once again the start delivered a shake up of the order, with Sebastian Vettel able to lead into Turn 1 ahead of the pole sitter Lewis Hamilton, who nudged his team mate off track dropping him down to 9th place. Since the FIA changed the rules on starts with a single clutch and drivers forced to manage the procedure alone, we have had far more variable starts, which has made for better racing. That’s one rule change that has really worked.